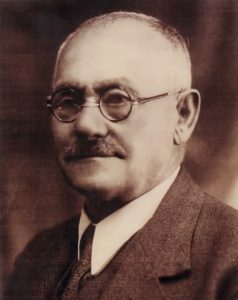 Adolf Ilkovics, born the 28th of September 1870, was the second son of Samuel Ilkovics and his first wife Ester Weisz. He was born in Sebeskellemes Hungary which is now Presov Slovakia. When Adolf was 1, Ester Weisz died, leaving he and his older brother Moricz without a mother. 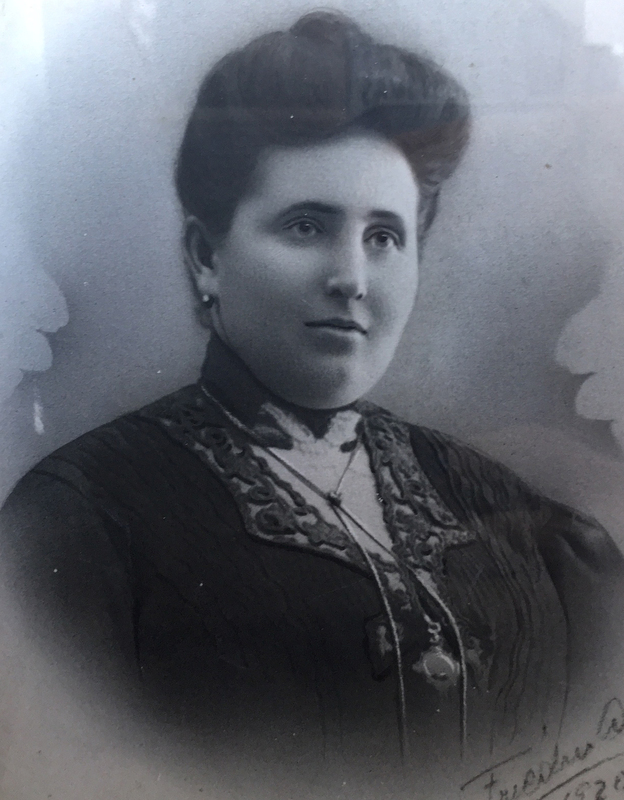 As I mentioned on the Ilkovics Family page, I’m not real clear whether the two were raised by Ester’s family when Samuel married his second wife, my 2nd great-grandmother. There are a few glimmers that perhaps the families of the two wives overlapped and they knew each other but nothing definitive. Adolf married his cousin Szerena Ilkovics. She was pretty young when they married because she was born in 1872 and they had their first child in 1889 when she was 17. I’m not sure how they were related but as I’ve mentioned previously, this family had a propensity for marrying their cousins and naming their children with the same names as other branches so it has been a challenge locating each person on the correct tree. Szerena’s father was Henrik Ilkovics and where I am in my current research, I know absolutely nothing about him except that he had a son Lipot Ilkovics, and another daughter Ilona. As far as we know, Adolf and Szerena had five children together. Their first was a daughter Etelka who married Dr. Gabriel Bott. They had two sons, Yvan and Gustav Mihayl. That entire branch of the family was killed during the Holocaust. Their second child was their son, Alexander who was born in 1898. Learn more about Alex here. Their third child was another son Alfred born in 1899. Alfred worked with his father and his uncle Mor, helping to manage the estate in Fintice. He married Katherine Glück and they had one son, Karcsi. This branch as well were all killed in the Holocaust with the exception of Katherine. She somehow survived and moved to Israel where she died in 1998. Their fourth child was another daughter, Blanka born in 1900. In 1921, Blanka married Mihaly Zimmerman, whose family were large landowners in Mád. They had two children and while Blanka was killed in the Holocaust, the children survived and one is still alive today. Their final child together was Laszlo born in 1902. Lazlo married Dushi Gluckman and they had one daughter, Julika. All died in the Holocaust. Adolf, his son Alfred and his older brother Mor managed a large farm estate in Fintice that belonged to the Noble Dessewwfy family. More information about the farm, including some recent videos I took during my visit in August of 2018, can be seen on the Estate Fintice page. Szerena died in 1918, from what I do not know. The family has a document that provides information about her funeral, who she was survived by, etc. but it does not list cause of death. She died in Szedikert, most likely in the family home. Adolf married a second time to a widow, Marvina Korach. Adolf died in 1943 at the age of 72. He is buried in Kosice and I am grateful to see that his death was from natural causes and not Holocaust related like his wife Marvina and so many others in this family. Here lies Abraham, son of Shmuel Ilkovics z”l. 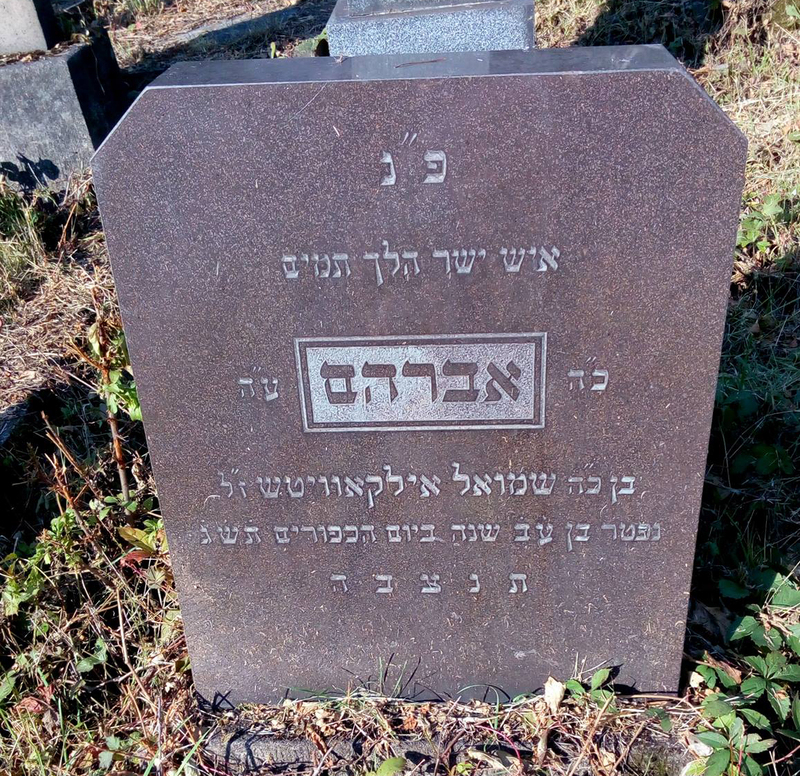 Died aged 72 Yom Kippur 1943. An upright man who went in simple ways. May his soul be found up in the bond of life.